Finding a place to live as you grow older can be a difficult experience for anyone. There are tons of options to weigh out, planning to be had, and finding the right place that suits your needs. When you’d like to live in a place that can provide you with medical attention if need be, but still have a sense of independence, Independent Living housing is the option for you. 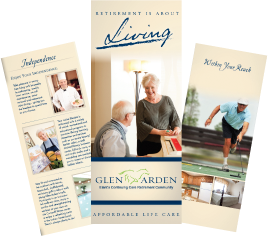 Independent Living (sometimes referred to as IL) is a housing option for senior citizens that involve minimal intrusion in their day-to-day lives. An Independent Living housing arrangement could be anything from apartment-style communities to housing developments. These are made solely for senior citizens and are set up to benefit those in the golden years of their life. The typical independent living quarters are equivalent to that of an apartment or a small house. While floor plans vary from place to place, most independent living places have one or two bedrooms, a bathroom, a kitchen, and a living room. Beyond this, an independent living community will usually have community areas available for residents. This will usually include common areas in dormitories, a gym or fitness room, a community room that events are hosted in, and trails in or around the property. These are to encourage residents to be social, as well as remain fit and healthy! How does Independent Living differ from living at home or in an apartment? Independent Living does seek to provide services to help you with day-to-day activities such as bathing or cooking, but does provide plenty of other services. These services are activities that can be a bit strenuous in the golden years of your life and usually include: landscaping, laundry and housekeeping services, on-site dining facilities, security surveillance, as well as much more. Independent Living centers also provide residents with fun activities that they’re encouraged to participate in if they want. This may include game night, field trips, support groups, and exercise classes. They may also provide shuttle transportation for residents as well!